5000 Watt Pure Sine Power Inverter 12V to 110V 120V 50/60 Hz Industrial Grade - Shenzhen Sigineer Power CO.,LTD. On Off Grid Solar Inverter that works either as a grid tie inverter or standalone inverter. Sigineer Power boasts to have the widest line of low frequency 12 volt power inverter chargers second to none in China. Our 12 volt pure sine wave inverter chargers are available in wattages from 600 watts to 5,000 watts. While most our Chinese competing inverters stopped at 3,000 watt continuous power with 12 volt DC input, Sigineer Power overcame multiple engineering challenges, and launched unique pure sine power inverter models of: 12 volt to 110 volt 4,000 watts inverters, 12 volt to 220 volt 4,000 watts inverters, 12 volt to 220 volt 5,000 watts inverters. Our 12 volt DC to AC power inverters line includes a few UL458 listed models for applications requiring ETL listed power inverters. We also manufacture industrial grade 12 volt inverters and 220vac 50Hz export power inverters for Australian, African and European markets. Most of our 12 volt ac converters are with built in transfer switches; these dc/ac converters include some ETL listed products 12 volt inverters for marine use. If 12 volt is not what you are looking for, check out our low frequency inverter chargers available in 24 volt versions or 48 volt versions. Contact us now to learn more. We have 24 volt power inverters in multiple output wattages from 1000 watts to 10,000 Watts. Our 24 volt dc to ac inverter line includes both pure sine wave and modified sine wave inverters. We also produce some commercial and industrial grade inverters in different AC output voltages, including three phase (208vac 380vac or 420vac) and split phase (120vac/240vac) inverters. The 6,000 watt, 24 volt to 120Vac single phase inverter charger and the 10,000 watt 24vdc 120vac/240vac split phase inverter charger are the first of its kind in the low frequency inverter charger industry worldwide. Our popular 24 volt power inverter models include 5,000 watt power inverter and 6,000 watts 24 volt 120vac/240vac split phase inverter chargers If 24 volt is not what you need, check out our low frequency inverter chargers available in 12 volt versions or 48 volt versions. Contact us now to learn more. Sigineer Power produces 48 volt power inverters from 2,000 watts to 12,000 watts with true sine wave output and built in transfer switches. 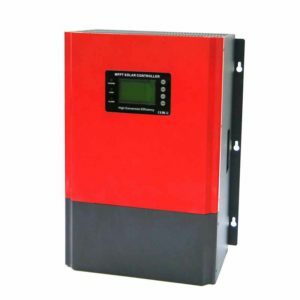 These 48 volt inverter chargers are not only suitable to work as telecom power inverters, they are also great for off grid power systems such as a 48 volt solar system or a 48 volt wind turbine system. We also carry 48 volt industrial grade power inverters. These heavy duty inverters have AC outputs in both 120vac and 230vac. These top line 230vac 50 Hz solar power inverters are great for European, African, Australian and Nigeria off grid power systems. 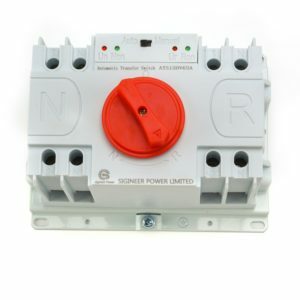 They are a great choice for backup power system. The multistage battery charger automatically drops to a trickle charge to maintain your batteries from overcharging. Pls refer to our 12 volt power inverters and 24 volt power inverters pages if you need inverters with lower battery voltage. Contact us now to learn more. 120V / 240V split phase is a type of single phase three-wire power distribution system commonly found in with a standard phase-neutral voltage of 120 V for residential and light commercial applications. There are two 120 Vac hot lines and one neutral line, the voltage between two hot lines is 240 Vac, and the voltage between one hot line and neutral is 120 Vac. This power system can drive either 120Vac or 240Vac equipments. Sigineer Power’s wide selection of 120V / 240V Split Phase Low Frequency Inverter Chargers go from 600 watts to 12,000 watts. These transformer based dual phase inverter chargers take 240 v input and output 120/240 vac power. They produce 2 legs of 110v and are perfect for home and shop applications with a 220vac power distribution panel. These split phase power inverters are a combination of inverter, battery charger and transfer switch. With the seamless transition transfer switch, they are virtually a line interactive UPS (Uninterruptable Power Supply) for emergency situations and natural disasters. Contact us now to learn more. Sigineer Power carries over 200 models of OEM Inverter Charger from 600 watt to 20,000 watts. The OEM inverter charger is out of stock and will be produced according to order, some of them may require a MOQ. Contact us at info@sigineer.com for more details. Model #: PSI5012NC Click here to view the whole product line. This 5000 Watt Pure Sine Inverter works with a peak 12V to 120Vac DC to AC conversion efficiency of 90 %. 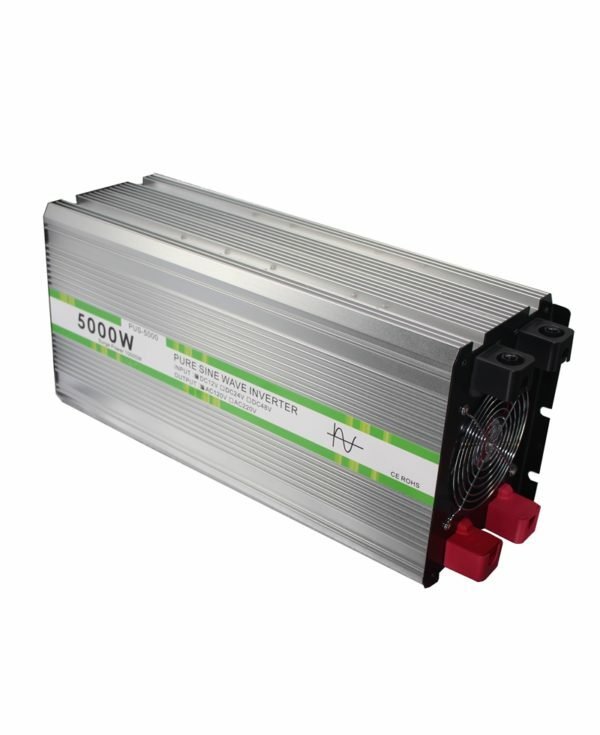 The Sigineer Power 5000 Watt Pure Sine Power Inverter is designed with top quality for harsh environments. It’s built with 2 pairs of well isolated DC terminals, a LCD display, two mini US outlets and a AC terminal block. This 5KW power inverter also includes a thermally controlled fan, allowing for increased efficiency and less noise. It will continue to deliver stable, pure sine power and maintain output voltage in the whole operational bank voltage range. The high output performance is achieved through its new circuity. This inverter is ideal for running both linear and nonlinear loads, such as air compressors and variable speed motors. Pure sine power also works well for LaserJet printers, sensitive electronics, computer servers, microwaves, medical equipments. Contact us at info@sigineer.com to learn more.